Senate president Bukola Saraki last night reacted to the speculations about juicy offers being made to him and his associates as part of the on-going discussions with the Presidency and leadership of the APC. 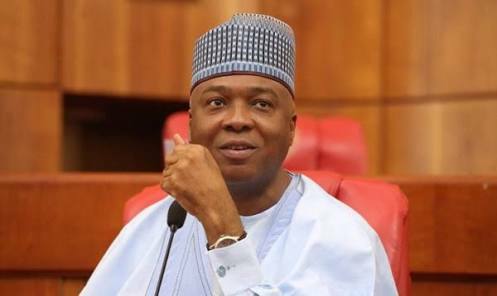 In a statement by his Special Adviser on Media and Publicity, Yusuph Olaniyonu, Saraki said reports about promise of money or oil block and nomination tickets are simply reducing a major national issue involving many key actors to that of personal benefits and preferences. “I believe at this point, it is important for me to make some clarifications, end speculations and make my position clear. It is important for Nigerians to know that the discussions that I and many others of like minds are having with the Presidency and the leadership of APC is not about me and what I want. It involves the future of our country and her democracy. It is about making things better for our people. “We will be insulting Nigerians if, as the 2019 elections draw nearer, our deliberations is about personal benefits or how to pay compensation for wrongs done to an individual,” Saraki said.